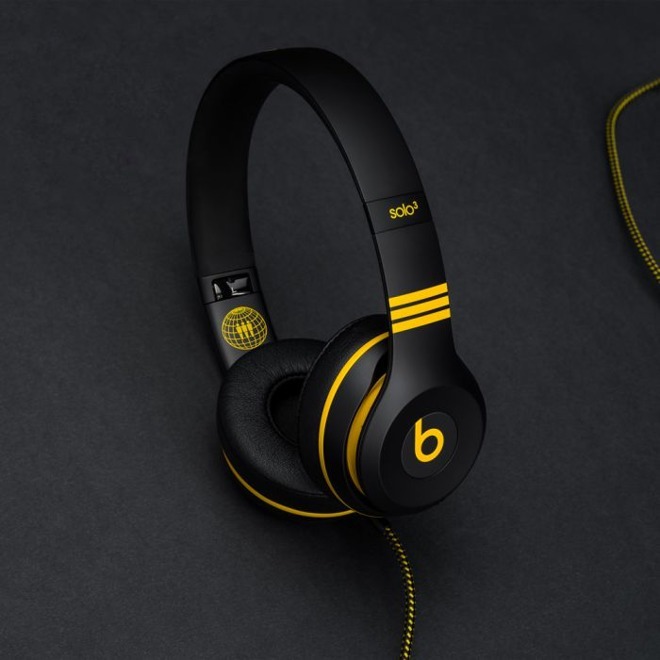 Apple's Beats on Thursday revealed a new color option for its Solo3 Wireless headphones, made for rocker Jack White's Third Man Records. 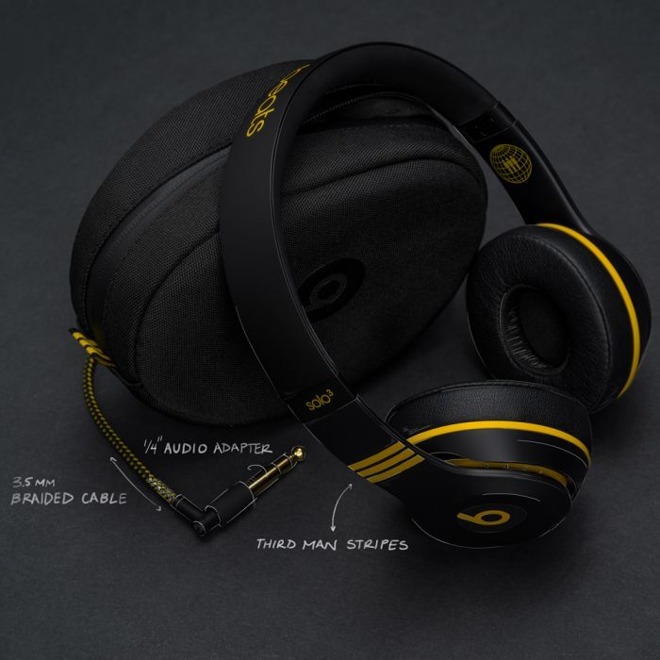 Though costing more than a regular Solo3 set, the Third Man Records Limited Edition comes in a unique black-and-yellow color scheme, with a matching braided cable and carrying case. Reflecting Third Man's vinyl focus, the headphones also come with a turntable adapter and a flexidisc for the Raconteurs song "Level." Other cosmetic differences include Third Man logos on the inside of the headband, and three stripes above each earpiece. Apple periodically releases special editions of Beats products —in the case of the Solo3, the (RED) and the Neighborhood Collection. Only occasionally does it sell models with different accessories, such as the Balmain versions of the Powerbeats3 and Studio Wireless. The Third Man Records Limited Edition can be preordered from the label's website for $329.95, and will ship Nov. 24.